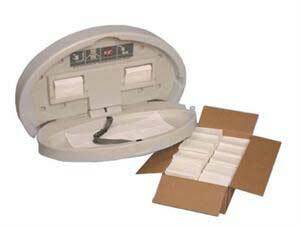 Largest Selection in Diaper Baby Changing Stations and Tables in 9 color choices. Attractive. Durable. Safe. Affordable. These are the qualities that best describe the original Diaper-DepotTM. 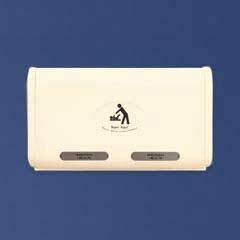 That’s why retailers, property owners, facility managers and architects are repeatedly specifying our diaper changing station for new and retrofit construction. Only the Diaper-Depot combines durability with long lasting good looks to provide one of the neatest appearances of any unit in the industry. 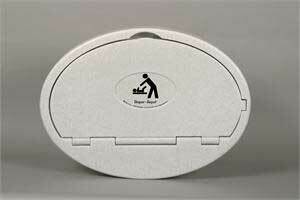 A molded hook area to hang and keep a diaper bag within arms reach so parent’s attention is not diverted from baby. An original Safe-Strap® restraint manufactured with a break resistant buckle. Large concave bed for added safety and comfort. 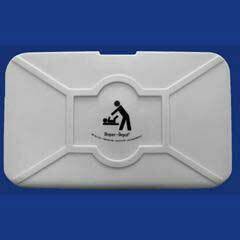 Permanent universal pictorial safety graphics that are molded into the products surface which do not “peel off” or deteriorate, even with repeated cleaning using industrial grade solvents. These instructions are written in English, • • • German, French and Spanish to facilitate multilingual understanding. 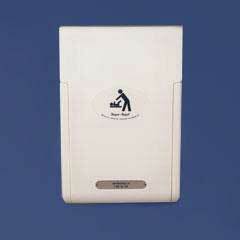 Standards For Commercial Diaper Changing Stations.